Judd Apatow's been hard at work for a couple of years on Business Trip, a comedy showcase for Leslie Mann set at a corporate retreat. Universal bought the script in 2009 with Apatow attached to produce and Mann to star. But development has dragged on for a couple of years, so recently Apatow has brought in one of the industry's heavy comedy hitters for a re-write. The Wrap reports that Pam Brady has stepped aboard Business Trip to rewrite the comedy. Originally penned by Stacey Harman (The Goldbergs), the plot follows a group of women who embark upon a business trip where... something wacky happens. On company time. It's vague. Does one of them get bitten by a radioactive spider? Does another one get abducted into space, only to join a ragtag group of intergalactic bounty hunters? Does one of them meet a hunky dance instructor in the Catskills in 1963 and fall in love? Because if so, Business Trip is totally a Dirty Dancing remake. Brady's been on-call with Mann for a while now – she's been giving a punch-up to the Mann-and-Octavia Spencer-led comedy Las Madras for a long time with fellow screenwriter Lona Williams (Scouts Vs. Zombies). She came up from the world of South Park, distinguishing herself with comedies like Hamlet 2 and Team America: World Police. 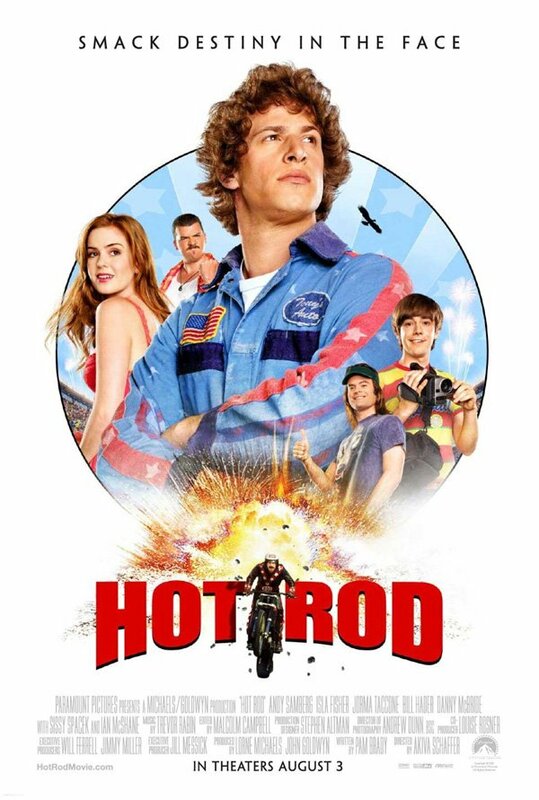 Her greatest achievement in the eyes of many fans, however, is her script for Hot Rod. Brady unsurprisingly wrote it as a starring vehicle for Will Ferrell, and the comedian's DNA is just about all over this thing. This is a great time for Business Trip to move forward, as there's probably no hotter time in Mann's career. Though she earned criticism by being the love interest of choice in various Apatow-made projects (the two are married in real life), she recently co-starred in the non-Apatow project The Other Woman , which surprisingly earned $194 million this spring. Mann's definitely ready for her big breakout lead role, and you wonder if this will be it. More than likely, she'll leverage her star power with that of other co-stars, as she worked with Cameron Diaz in The Other Woman and Spencer in Las Madras. Business Trip also sounds like an ensemble, and while it's still in the re-writing phase, the addition of another big female name could get the film fast-tracked for Universal.